Looking for a driving instructor in Ashford, Folkestone or Hythe Kent? 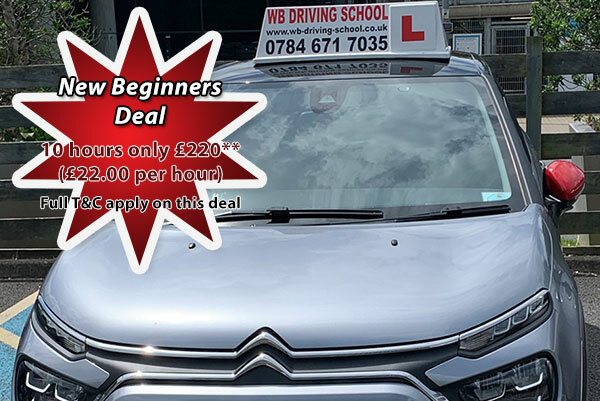 Visit our Facebook page for a selection of the latest test passes with WB Driving School. Most pupils pass first time with W B Driving School. "Walter, what you achieved with me was amazing! I was super nervous and kept creating problems for myself when driving so this kept stopping me from moving forward. Walter was very good at being able to understand my fears and help me to turn those thoughts around into positivity and confidence. Walter is very patient and good at taking the time to understand his pupils and work with pupils to get the best outcome. When I passed my test, I was overwhelmed with happiness at what I had achieved I could not have done this without Walter's guidance! Big 'Thank You' for helping me change my life." I am really pleased I have passed first time. Thanks for everything Walter. Walter, passed in Ashford thanks to your good teaching! … Thanks for everything Walter. Really never ever expected to pass first time with no minors! Can't thank you enough, you calmed down my nerves and really improved my confidence. I will be recommending you :) …..
… just would like to say thank you once again for all your help and motivation. I am over the moon I have passed. I will definitively be recommending you…..
… thank you Walter, I never thought I would pass first time…..
… i thought i would never become a qualified driver, thank you very much Walter for your patience and understanding….